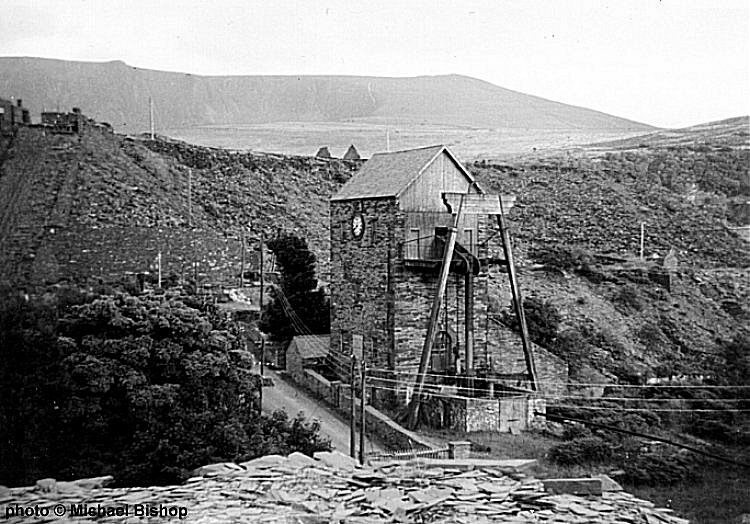 The Dorothea Quarry Cornish beam engine, more views of the engine today can be seen here. 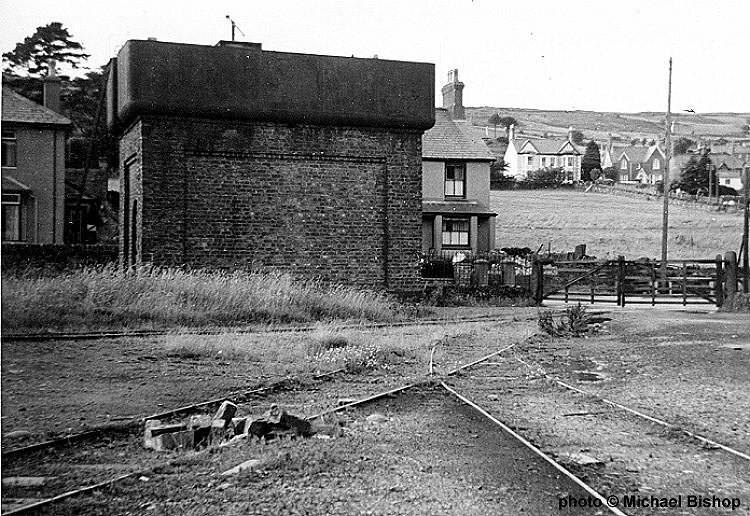 Tal y Sarn station yard with the Nantlle Railway track leading off to the quarries. 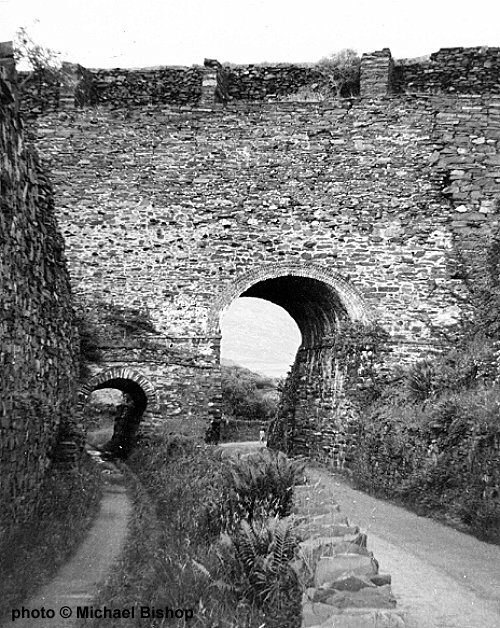 This bridge know as Pont Fawr Talsarn carried a quarry waste tramway from Tal y Sarn Quarry over the old road and Nantlle Railway trackbed. 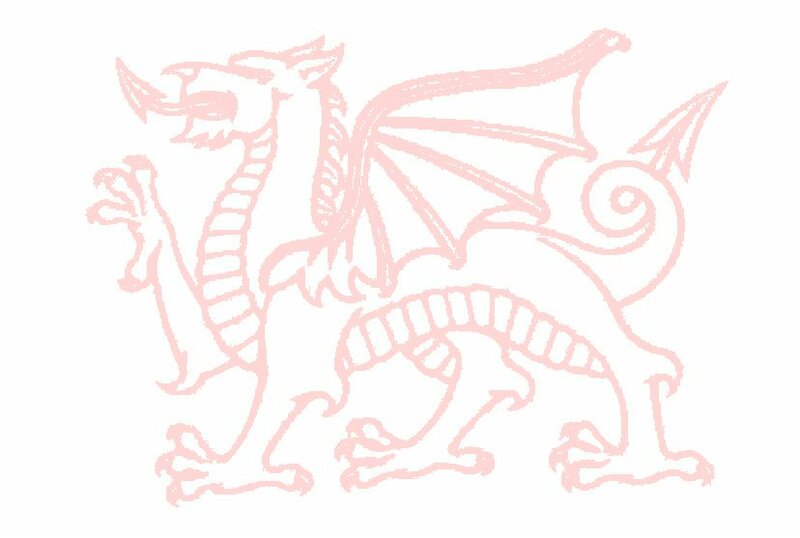 It was demolished in November 1977. 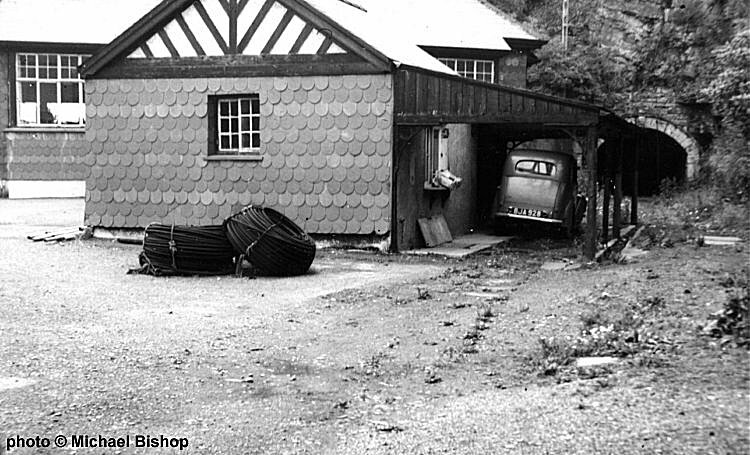 Looking down on the Cornish beam engine at Dorothea in July 1966. 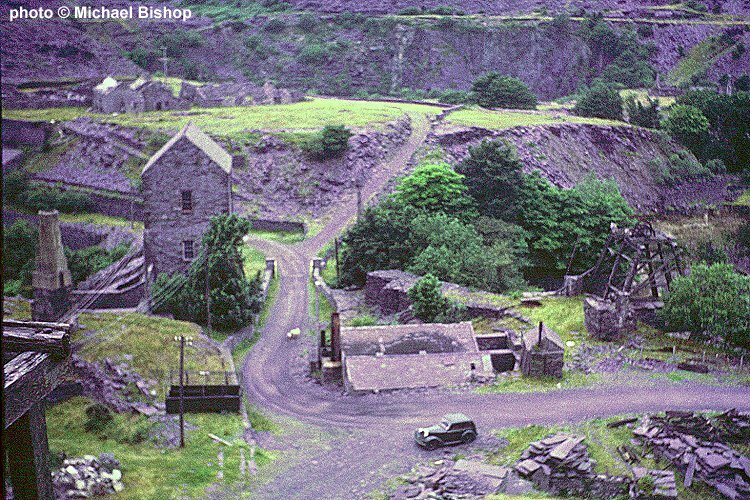 There are three years left before closure but the quarry already has an abandoned look. 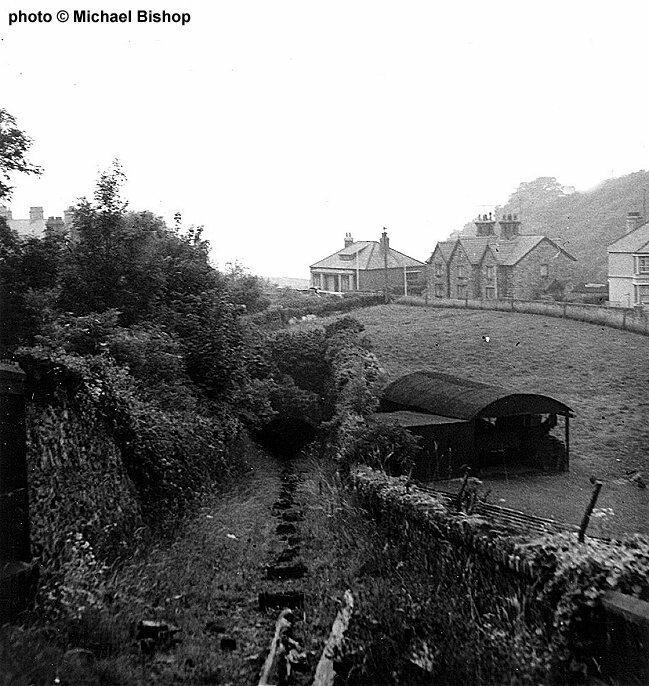 Looking down the Penscoins incline to the port, by this date most of the track had been lifted. The other end of the tunnel on the quayside. The incline haulage cables have been neatly rolled up ready to be taken away for scrap. 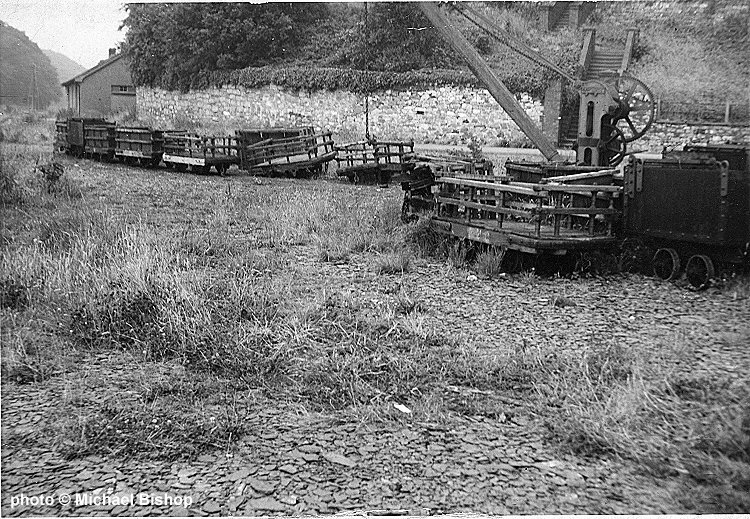 Abandoned wagons on the quayside. The port has since been redeveloped into a marina.